“Q” means quality! 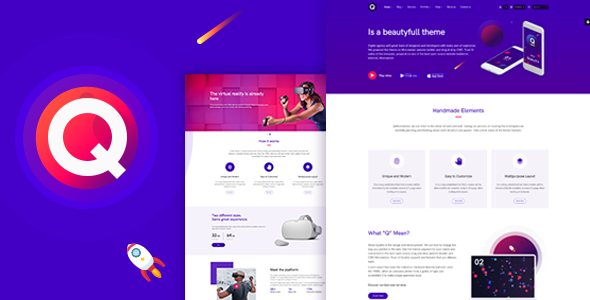 This HTML/CSS templates is Clean, Modern and Professional website theme for mobile apps, software products, Online shopping, corporate website and other companies and organizations. It’s created for business websites. The Design of each page is made with love and mind touch so you are available to use it for any kind of products or websites. We support Bootstrap 3, Font Awesome and Material Icons, etc.